The OnePlus 3T will be available in gunmetal and soft gold color options. 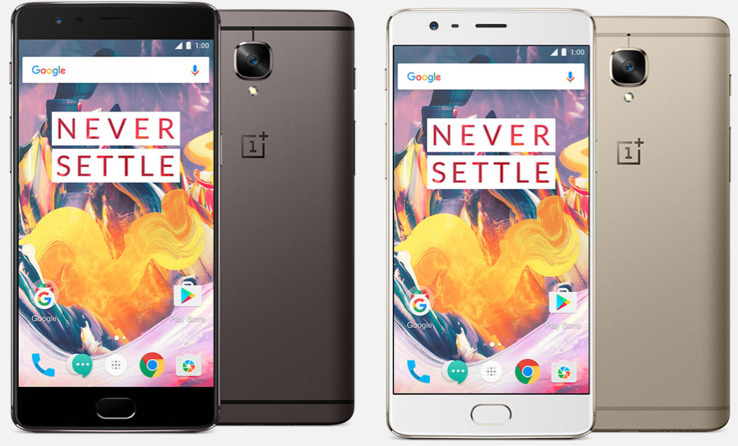 OnePlus announced the OnePlus 3T yesterday but does not deliver Android 7 just yet like everyone expected. The minor refresh will be available starting November 22nd starting at $439. Like expected, OnePlus announced the OnePlus 3T yesterday, implementing minor changes to the successful OnePlus 3, that is currently out of stock but might return in due time according to an answer a support person gave to a customer asking for future availability of the older version. 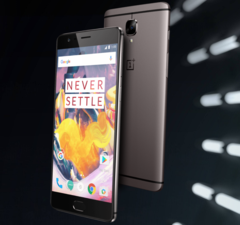 The OnePlus 3T features a Snapdragon 821 processor, that is clocked at the full 2.35 Ghz. There will be two versions of the OnePlus 3T, one will offer 64 GB of UFS 2.0 storage for $439, the other will come with 128 GB of UFS 2.0 storage for an expected $479. Apart from the updated processor and storage expansion, OnePlus decided to up the resolution of the selfie cam to 16 megapixels by implementing a Samsung 3P8Sp lens with 1um pixels and an aperture of F/2.0. The rear side camera also got added sapphire glas protection. Last but not least, OnePlus managed to add a bigger battery, that will have 3,400 mAh of capacity and also supports fast charging with DASH compatible chargers. Unfortunately, the OnePlus 3T still comes with Android 6.0 preinstalled but OnePlus promised to deliver Android 7 as an update soon. The OnePlus 3T will be available starting November 22nd in the US.